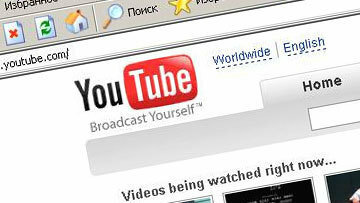 Tajik authorities again block YouTube | Russian Legal Information Agency (RAPSI). DUSHANBE, June 11 (RAPSI) – Access to the YouTube video hosting service was partially blocked in Tajikistan on Tuesday, the chairman of the Tajik Association of Internet Providers, Asomiddin Atoev, told RIA Novosti. This is the fourth time YouTube has been blocked in Tajikistan since July 2013. In the past two years Tajik authorities have blocked various sites, including Facebook, Russian news sites ria.ru, vesti.ru, gazeta.ru and fergana.ru, and several other Internet resources. “Technical malfunction” has been the explanation. In May last year, access to YouTube was blocked after the hosting service posted videos from K+ TV showing the wedding of Rustam, the elder son of President Emomali Rahmon, on May 18. The videos, which were believed to have been shot in 2009, showed the president dancing and singing and included a commentary by Dodojon Atovulloev, an opposition politician and journalist and a long-time critic of President Rahmon. That video received many visits. 10:19 11/06/2014 Access to the YouTube video hosting service was partially blocked in Tajikistan on Tuesday, the chairman of the Tajik Association of Internet Providers, Asomiddin Atoev, told RIA Novosti.